Hands on Energy Healing uses breathing, meditation and body awareness techniques to raise the vibration of Life Force Energy to levels where healing can occur naturally. When energy does not flow as freely or smoothly as it could, blockages, stress, tension and illness are created. In Hands on Energy Healing the practitioner uses breathing, intention and various meditations to create a high-energy field around the affected area. The client naturally matches the vibration of the practitioner which allows the body's own intelligence to decide how the healing will take place. reduces pain, muscle release, sinus, headaches, reduce stress, improves the immune system, helps with realignment, inflammation......plus much more. For both chronic and acute conditions. 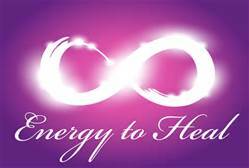 Hands on Energy Healing may be combined with massage when requested for hour or hour and half sessions. Rain Drop Therapy (essential oils) may also be added for additional charge.